10 years ago, a group of communications directors from some of the UK’s biggest charities met to discuss their sad lack of a real home where they could share best practice, insight and innovation and network with their peers. They were the founding members of CharityComms, created to fill that gap. For readers sighing at the thought of another charity anniversary ("What a self-indulgent waste of time; who cares how old you are?") we're reflecting on impact, and how well we have helped catalyse the sector and fulfilled the founders’ aims. The focus is on you and your achievements. "…support, solidarity, great events, celebration, chance to talk about challenges, an amazing team, and a place where I don’t feel alone!" "In February 2014, I attended a CharityComms creatives group seminar on case studies and stories, and came back keen to change the way we communicated the stories of our beneficiaries …three years on, we now have a revamped website packed with music, videos and stories from young people, our team includes a dedicated content writer, and significantly, our fundraised income has increased by nearly 150%." "It’s impossible to overstate the impact CharityComms has had on the sector, and specifically on the profile of comms within it. 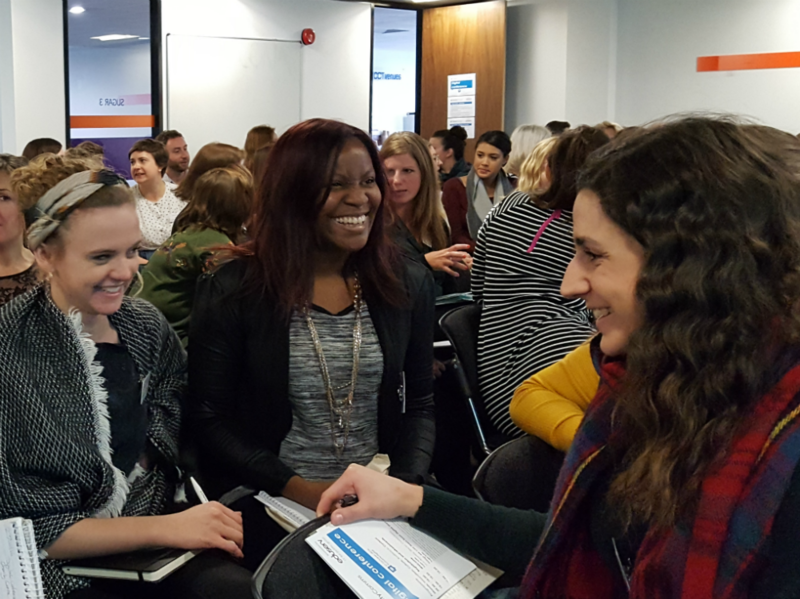 It has been an incredibly positive agent for change, a creative forum for ideas, a sounding board for shared problems and a catalyst for accelerating the development of comms skills and knowledge… you name it, CharityComms has covered it. Its role is now so cemented in the fabric of not-for-profit communications that I can’t imagine my working life in a world without CharityComms. Here’s to another 10 years and more!" Please do keep these coming in with #ccis10 or by emailing your thoughts to Sushi: sushi@charitycomms.org.uk. In May, we launch the third edition of the Communications Benchmark 2017 – a timely snapshot of the sector – marking how far we’ve come and where our focus should be next. Communications has grown into a widely respected, effective function in charities. There’s still work to be done to increase senior leadership buy-in to put communications at the heart of organisational strategy and resourcing and to help improve staff morale. Communications teams are more driven than ever to overcome these challenges and help their beneficiaries. Digital has transformed the sector and we’re all confident it will continue to do so. CharityComms membership makes a difference… and we’re going to continue flying the flag for communications as a vital strategic function at the heart of charities. In July, you'll be invited to vote for the best charity communication campaign of the past 10 years and in November at our Inspiring Communicator Awards there’ll be a new award for the person who has demonstrated 10 years of outstanding communications impact. Get set to nominate the communicator who you think deserves this prestigious new award. Celebration is possible only because of your work, your willingness to connect and generosity in sharing ideas, stories and experience. We also know that you are our best advocates, so if you value and enjoy being part of CharityComms, please spread the word and get others to join in. Thank you for being part of this incredible network. Here's to the next 10 years of communications impact helping to change the world for the better.